According to the Centers for Disease Control and Prevention (CDC), more than 100 million Americans are living with diabetes (30.3 million) or prediabetes (84.1 million), with the of diagnosis and care escalating to $327 billion per year. Globally, the numbers are equally staggering. The number of people with diabetes has risen from 108 million in 1980 to 422 million in 2014. This global health crisis fuels a dedicated mass of endocrinologists, diabetes researchers and clinical investigators throughout the U.S. and the world to find novel pathways to prevent, treat and cure Type 1 and Type 2 diabetes and their complications. Mark Atkinson is a medical researcher best known for his contributions to research seeking to predict, prevent, and cure Type 1 diabetes. He is the author of over 425 publications and is one of the world’s most cited diabetes researchers. 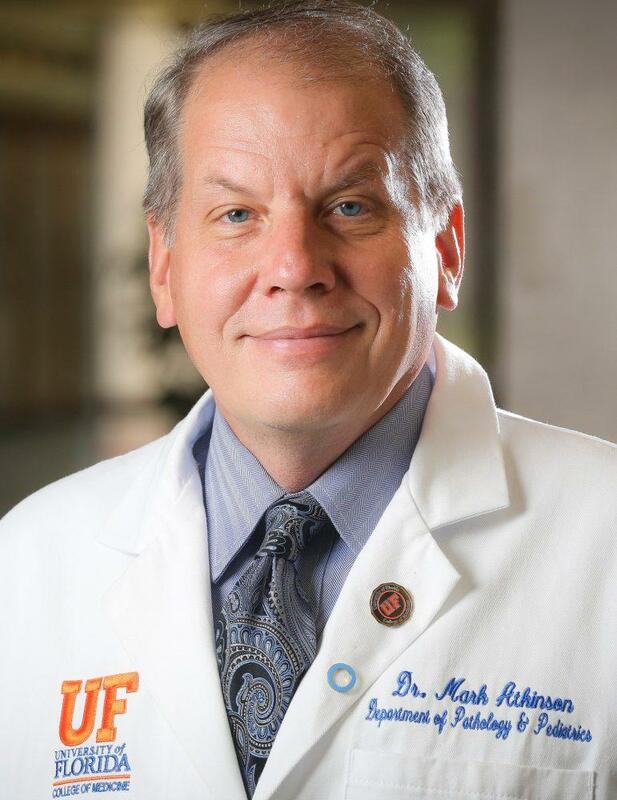 Atkinson currently conducts research at the University of Florida College of Medicine, where he is director for the Diabetes Institute at UF Health. 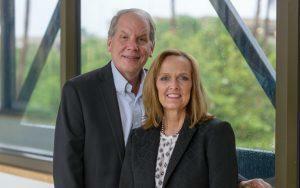 He also is the executive director of the Network for Pancreatic Organ donors with Diabetes (nPOD). Atkinson has also been widely cited for his humanitarian contributions with his wife Carol, particularly for their efforts to improve diabetes care, management, and access to medications and supplies in developing nations through his non-profit Insulin For Life USA. Atkinson: Soon, I will turn 58, and for the entirety of my research career, now some 35 years, it has been dedicated to studies of Type 1 diabetes. It has become a life-long dream of mine to see a way to prevent or cure this disease. People with Type 1 diabetes live with it 24/7/365, and I am very proud to work with a team of individuals that dedicate their lives, day in and day out, in order to make a difference. This pursuit has taken me in many directions as well as places around the globe. For example, when people ask, ‘What are your hobbies?,’ my response is often ‘flying’ but not as a pilot. I have five million frequent flyer miles on one U.S. airline, with three million actual miles flown. By far, most of these have been related to Type 1 diabetes research or improvements in global care for those with the disease. This has not only been a dream of mine…but a sacrifice for my wife and three children. I am so thankful that they, too, share the vision I spoke of. PD: What is your research focus, and why is it important to pursue research in this area? Atkinson: Type 1 diabetes is most often diagnosed in children and adolescents and affects approximately 1.25 million Americans, with its incidence is rising around the world. While insulin, delivered via injection or pump, provides life-saving blood glucose regulation, disease management is not a cure, and patients remain heavily burdened by the potential for serious long-term complications as well as the financial costs of medical care. Hence, there is a need to predict Type 1 diabetes and halt its progression in at-risk individuals through the discovery of new disease biomarkers and treatment modalities. In addition, we hope to identify methods to restore or replace insulin-producing beta cells for long-term restoration of endogenous insulin secretion in patients with new-onset or even longstanding disease. PD: What are your key research initiatives? Characterize normal human pancreas development and histological abnormalities present in pancreata of deceased organ donors with Type 1 diabetes that we might identify and develop potential pancreas-directed therapies to prevent or halt disease progression. Population of interest: Our research initiatives are directed at various stages of the disease. We are quite interested in the neonatal and early-life period when autoimmunity is often first detected, as this is likely to reveal the physiological, immunological and environmental events that elicit beta-cell directed autoimmunity. We also direct significant efforts toward studies of individuals considered to have pre-Type 1 diabetes, marked by the presence of autoantibodies against islet antigens. 7) ex vivo pancreas “slice” culture. Our team at the University of Florida are involved in several clinical research/trial networks, including TEDDY and T1D TrialNet, and have multiple ongoing clinical trials studying the natural history of Type 1 diabetes and evaluating therapeutic efficacy of immunomodulatory treatments. We oversee organ procurement, processing, and sample distribution for the Network for Pancreatic Organ Donors with Diabetes (nPOD), and place a strong emphasis on collaboration and teamwork, which we deem necessary to solve the major questions facing Type 1 diabetes investigators. All of this, dedicated, as noted above, has been undertaken in an attempt to prevent or cure Type 1 diabetes. I firmly believe our efforts, with emphasis on the word “our,” as in the many UF and nPOD investigators around the world are re-writing the textbooks on how Type 1 diabetes develops. This IS key. Persistence of Pancreatic Insulin mRNA Expression and Proinsulin Protein in Type 1 Diabetes Pancreata. TEDDY Study Group: Association Between Early-Life Antibiotic Use and the Risk of Islet or Celiac Disease Autoimmunity. Analysis of self-antigen specificity of islet infiltrating t cells from human donors with type 1 diabetes. Type 1 Diabetes Prevention: A Goal Dependent on Accepting a Diagnosis of an Asymptomatic Disease. The Influence of Type 1 Diabetes on Pancreatic Weight. PD: Have you received any awards relative to your research? Atkinson: Yes, several. The most recent include: University of Florida College of Medicine Lifetime Achievement Award (2018); American Diabetes Association Albert Renold Award (2018); American Diabetes Association Humanitarian Award (2018). Atkinson: I agree…mentioning is an important notion. For me, it was how I entered into Type 1 diabetes research, as my mentor, Dr. Noel Maclaren, required me to spend time at the beginning of my training at a diabetes camp for children. It was a life-changing experience. Today, I remain committed to seeing the next generation of Type 1 diabetes investigators come to fruition. Meaning, I have obtained a series of grants designed to train young investigators in Type 1 diabetes that are minorities or those with disabilities. Indeed, I find the notion of seeing those that have faced challenges, be they due to race/ethnicity or living with Type 1, especially noteworthy to identify and bring into Type 1 research. My experience is that they have a special tenacity, for lack of a better word, to make a difference. This said, I look for tenacity in any potential trainee, despite their background. Type 1 is a disease in need of a difference, and who forms the team of the future will be key as to the when and if advances will be seen. At another level, I would share without hesitation that JDRF funding in my early career was key to establishing my efforts in making a difference for those with the disease. As a result, over the years, through my interactions with JDRF, I have always kept the proverbial “keen eye” on the effectiveness of its programs. By any of a number of metrics, JDRF investments in training have been one of THE most productive investments in terms of long-term deliverables. PD: What are your 2019 research goals? Atkinson: With the recent renewal of our major research programs supported by the NIH, JDRF and Helmsley Charitable Trust, 2018 has been a landmark year in terms of funding received by the UF Diabetes Institute. In the coming year, we hope to see continued progress toward our research on the subject of genetic, immune and pancreatic abnormalities that contribute toward Type 1 diabetes pathogenesis and the heterogeneity observed between individuals regarding the relative contributions for each of these facets. In the coming year, we will see data emanating from our ongoing trial examining pancreas size by MRI and serological markers of exocrine pancreas function in living subjects with Type 1 diabetes and their unaffected siblings. The two-year data from our TrialNet study on ATG +/- GCSF treatment in new-onset Type 1 diabetes patients will also become available. We will continue to pursue studies of tissues from human organ donors available through nPOD, initiating our new pancreatic “slice” culture system and highly multiplexed studies using imaging mass cytometry. In addition, we have recently partnered with investigators in the UF College of Veterinary Medicine to study the metabolomics and immunology of canine diabetes mellitus. These efforts and more would not be possible without the precious gift of tissue and blood donation and trial participation; hence, we extend our sincere gratitude toward the individuals and their families who support our work. PD: What activities do you participate in outside your research? 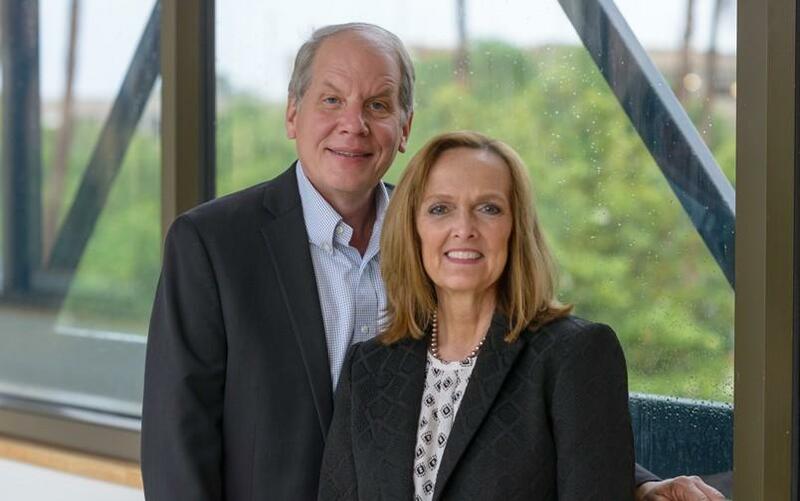 Atkinson: My wife, Carol, and I founded Insulin For Life USA, which provides insulin and disease management supplies free of charge to those with diabetes who otherwise would go without these life-saving provisions. In addition to our year-round work, IFL-USA also provides emergency aid in times of disaster. Between this and my regular Type 1 activities, we are really, again, 24/7/365 for those with the disease, which has made us stronger as a couple. All of this, in an effort to prevent/cure Type 1 diabetes as well as improving the lives of those with the disease, no matter where they are. Atkinson: At a “what will impact those now” level, the first complete closed-loop artificial pancreas device system has now received FDA approval and is available to Type 1 diabetes patients over 14 years of age. As this technology becomes more widely available, it has significant potential to improve diabetes management and provide peace of mind for patients and their families, as they know glucose levels are being constantly monitored and modulated with insulin in real time. Beyond this, I am so encouraged by the new technologies, as in instruments, that will take a few years to impact those with the disease, but [are] nonetheless important. These techniques will help decipher a range of issues, from genetic susceptibility to environment to basic issues related to how the disease develops…it is the best of times. I so want to finally deliver on the promises that have been made to many over the years. 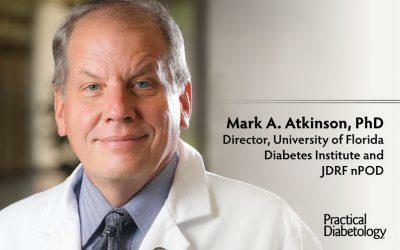 Read “Advances in Type 1 Diabetes Research Using Human Pancreas—Lessons from ‘nPOD‘” via PracticalDiabetology.com and learn more about Mark A. Atkinson, PhD, and the Atkinson Lab here. To nominate a diabetes researcher, email [email protected] and include the researcher’s name, link to an institutional profile and a brief overview of his/her scientific achievements.